One rhizome, many tastes. Ginger can be charmingly sweet as candied ginger, gingerbread, and ginger ale. Just as easily, this root can be spiritedly pungent, as in gari (sushi ginger) or unsweetened ginger tea. From sugary snacks to savory dishes, ginger shares similar flavor versatility as cardamom, which should come as no surprise; the two spices are practically cousins. All ginger plants are of the genus Zingiber, which belongs to the same family as cardamom plants, Zingiberaceae . However, the supermarket ginger that most people are familiar with is the knobby, root-like rhizome of Z. officinale, better known as the garden ginger. Fresh ginger gets its pungency and aroma from the flavor compound, gingerol. Studies have extolled gingerol for its many pharmacological abilities, including antipyretic (fever reducer), analgesic (pain reliever), anti-inflammatory, and antibacterial . The best part? 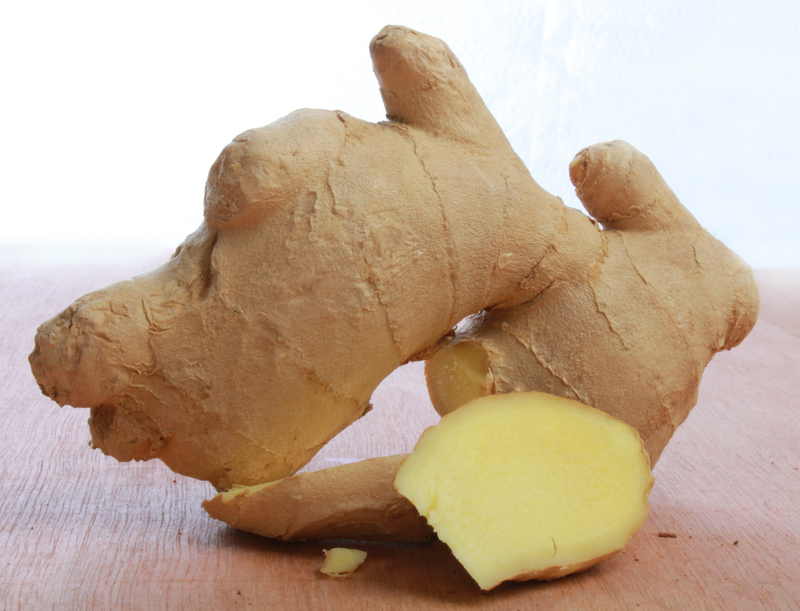 Chemically altering gingerol ends up tweaking ginger’s flavor profile, which helps give ginger its flavor versatility. No laboratories or fancy equipment are needed; as long as there’s a kitchen and a love for ginger-flavored foods, fine-tuning the flavor of ginger is rather straightforward. 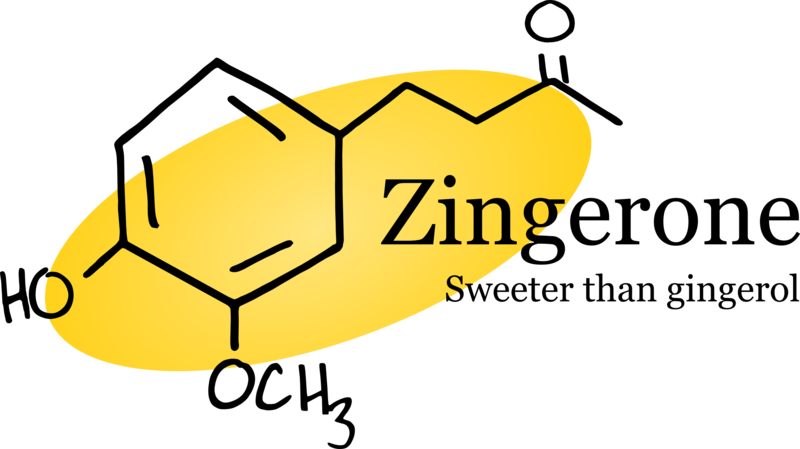 Heating a ginger rhizome causes gingerol to undergo a reverse aldol reaction, transforming it to zingerone, a molecule that is completely absent in fresh ginger. Like gingerol, zingerone is responsible for the pungency of cooked ginger, but it also lends a sweeter note to the flavor. For this reason, cooked ginger makes a delightful treat as candied ginger. Zingerone also boasts quite a few pharmacological benefits, notably, its many anti-obesity actions . For instance, zingerone was shown to inhibit obesity-induced inflammation, as well as stimulate the release of catecholamine, a hormone that aids in decreasing fat cells . Drying a piece of ginger triggers a dehydration reaction, changing gingerol to shogaol. Shogaol is twice as spicy as gingerol, which is why dried ginger packs more heat than its fresh counterpart. Additionally, shogaol retains gingerol’s bioactivity, reported to act as an antioxidant, anti-neuroinflammatory, and even memory-enhancing agent . With a multitude of benefits and just as many ways to serve it, there’s really no wrong way to enjoy ginger. Zingiber. The Plant List (2010). Version 1. Published on the Internet; (accessed 13 August, 2014). Young H.-Y, et al. Analgesic and anti-inflammatory activities of -gingerol. Journal of Ethnopharmacology. Jan 2005; 96(2):207-210. Pulbutr P. et al. Lipolytic Effects of zingerone in adipocytes isolated from normal diet-fed rats and high fat diet-fed rats. International Journal of Pharmacology. Jul 2011; 7(5):29-34. Moon M, et al. 6-Shogaol, an active constituent of ginger, attenuates neuroinflammation and cognitive deficits in animal models of dementia. Biochemical and Biophysical Research Communications. June 2014; 449(1):8-13. 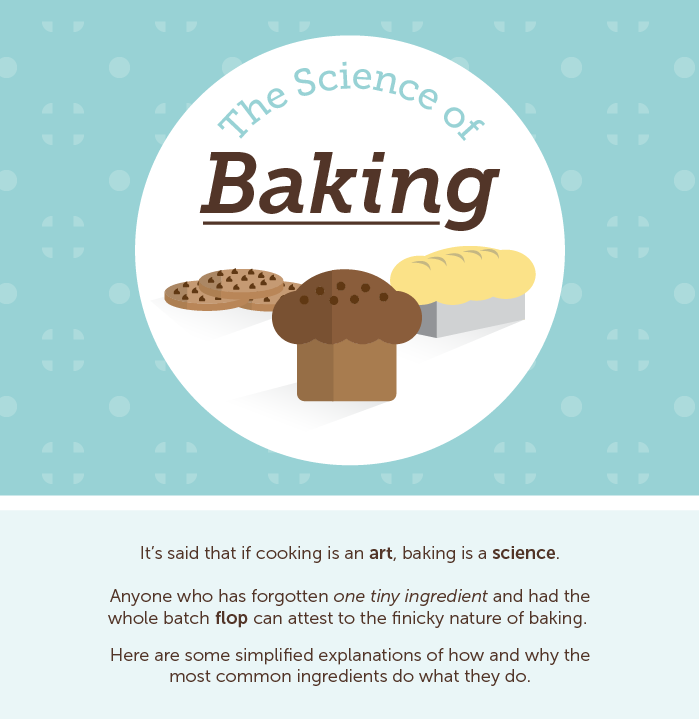 The folks over at Shari’s Berries were kind enough to send us a detailed infographic on baking science. Meanwhile, there are some folks who can actually taste colors. One ambitious cook aims to settle if wine quality affects wine dishes, while an equally ambitious researcher attempts to create a lab-grown hamburger. 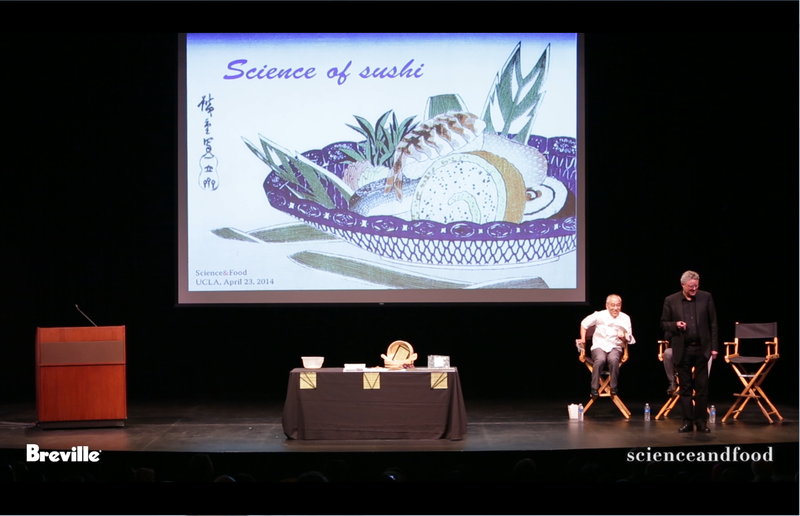 Wine and food pairing may seem like a refined art form, cultivated through trial and error to best suit the individual, but what if we told you there was also a science to it? When it comes to wines, the word “tannin” is thrown around a lot. In broad terms, tannins are a type of flavonoid molecule, which reside in the bark, leaves, and unripe fruits of a wide variety of plants. The three major classes of tannins are hydrolyzable, condensed, and phlorotannins. Where wine is concerned, phlorotannins are nonexistent (only found in brown algae); hydrolyzable tannins leach from the oak barrel that wines have fermented and aged in; and condensed tannins come from the grapes . While hydrolyzable tannins may be present in all wines, since winemaking traditions necessitate oak barrels, these offer little towards wine taste, mouthfeel, and color. Viniculture favors condensed tannins. Originating from the grape skins, seeds, and stems that go into winemaking, condensed tannins play a key role in wine-tasting. Red wines are made using the entire wine grape, obtaining their color from anthocyanin, another type of flavonoid molecule found alongside tannins in grape skins. By contrast, white wines are produced from just the grape pulp. Since the tannin-containing parts of the grape do not go into white wine production, white wines are often lower in tannin levels and generally lack condensed tannins. So how is all this discussion about tannins relevant in choosing which wine to serve alongside a steak dinner? Tannins contribute to two wine-tasting characteristics: bitterness and astringency [1,3]. Anyone who has ever eaten an under-ripe grape has experienced an exaggerated sensation of astringency, as under-ripe grape skins contain high tannin concentrations. However, astringency should not be confused with bitterness or sourness; these tastes are perceived on the tongue through bitter and sour taste receptors. Conversely, astringency is a physical sensation, frequently described as a dryness or roughness on the tongue. A sip of wine is just the beginning of the biochemical process behind astringency. Our saliva contains proteins that are able to organize water molecules about themselves, which increases saliva viscosity to above water viscosity, giving rise to “mouth lubrication” . Tannins in wine readily bind to saliva proteins. This causes a snowball effect: tannin-bound proteins end up clumping together with other tannin-bound proteins, creating an aggregate . This aggregate inevitably precipitates out of our saliva. With fewer free, unbound saliva proteins, there is a decrease in saliva viscosity, subsequently leading to a decrease in mouth lubrication . In short, tannins physically dry out the tongue. 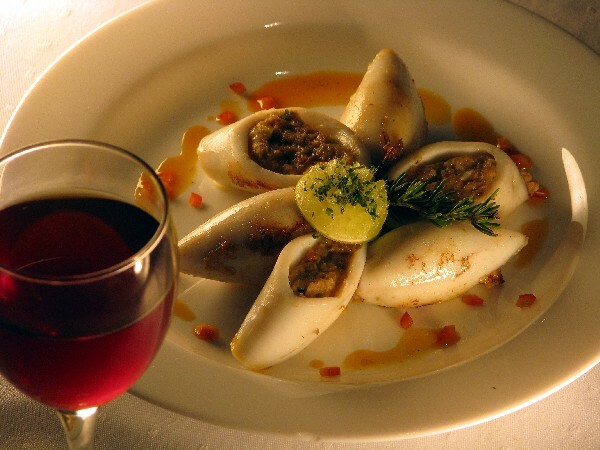 In this respect, high-tannic red wines pair well with high-protein foods. With more tannins binding to food proteins, saliva proteins are spared and the wine doesn’t feel as astringent in the mouth. Tried-and-true pairings include Cabernet Sauvignon with a rack of lamb, Pinot Noir with pork roast, and Chianti with grilled salmon. Besides the protein interactions, tannins have also been shown to favorably bind to fats . Fats are polar molecules by nature (they don’t like to interact with water). On the other hand, saliva is mostly water. By attaching to tannins, fats hinder tannins from mixing with saliva and binding to proteins. Essentially, fats wash the tannins away. For this reason, wine paired with cheese is a great treat, as is a gourmet burger with a glass of Zinfandel. Armed with this knowledge, why not begin your own wine and food adventure? 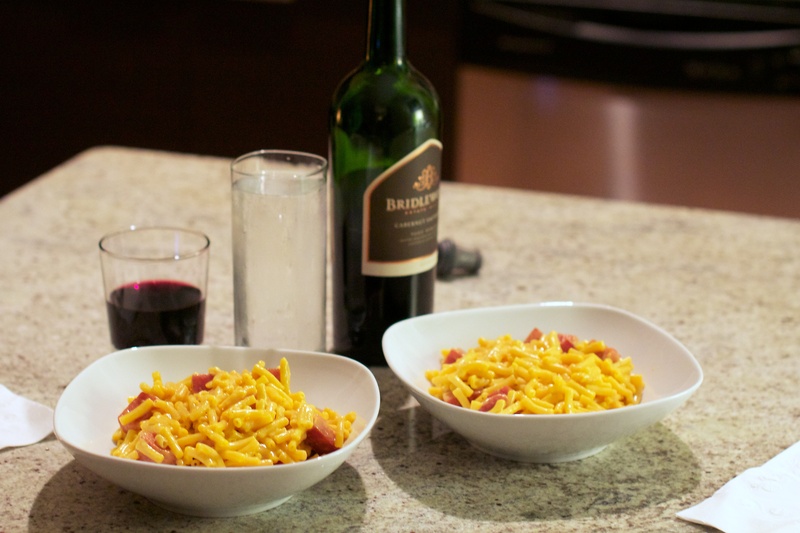 May we suggest a Cabernet with mac and cheese with spam? Goode, Jamie. “Tannins in Wine.”Wine Anorak. Hatton M, et al. Lubrication and viscosity features of human saliva and commercially available saliva substitutes. Journal of Oral and Maxillofacial Surgery. June 1987;45(6):96-99. Cala O, et al. NMR and molecular modeling of wine tannins binding to saliva proteins: revisiting astringency from molecular and colloidal prospects. The FASEB Journal. November 2010;24(11):81-90. Furlan, A, et al. Red wine tannins fluidify and precipitate lipid liposomes and bicelles. A role for lipids in wine tasting? Langmuir. May 2014;30(19):18-26. How are Pop Rocks made? Pop Rocks were developed by scientist William A. Mitchell in 1956 with a technique patented in 1961 to create a revolutionary confection which “enclos[es] a gas within a solid matrix” [1, 2]. 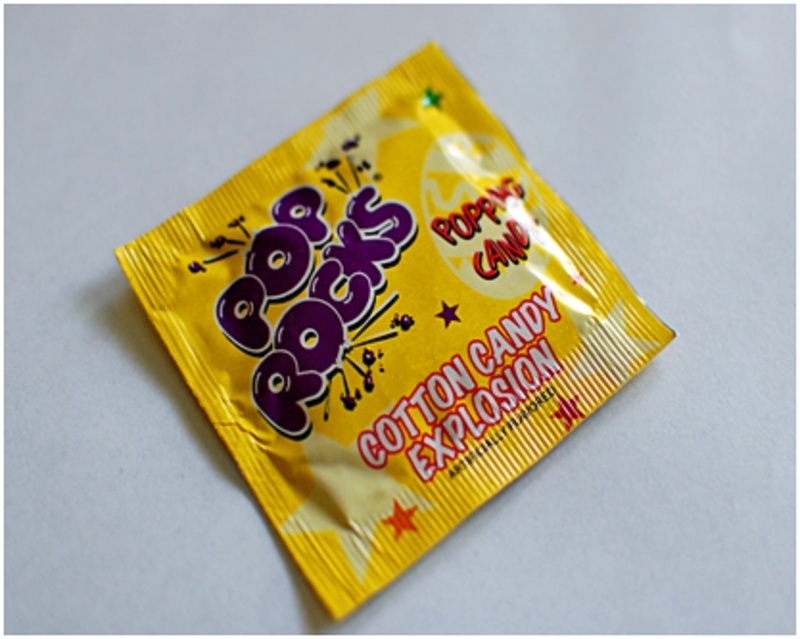 Essentially, Pop Rocks is made of a typical hard candy sugar solution (sucrose, lactose, corn syrup and flavoring) with the addition of one important ingredient: highly-pressurized carbon dioxide (CO2). First, the sugar solution is heated and melted to obtain a “fusible sugar”. Pop Rocks, like most other hard candies, uses a sugar solution of sucrose, lactose, and corn syrup, because these ingredients produce candy with low hygroscopicity – which means the candy is less likely to absorb water from the surrounding atmosphere . This ensures that the sweet morsels do not dissolve as easily in a humid environment; they are also less sticky and have a longer shelf life. Just as CO2 transforms syrupy juice into soda, it will turn ordinary candy into Pop Rocks! The way this works: CO2 at 600 pounds per square inch (psi) is mixed with the melted sugar until there is about 0.5 to 15 ml of gas per gram of sugar [1, 2]. Note that 600 psi is roughly 7 times greater than the pressure inside a champagne bottle, 20 times greater the pressure in your car tires, and 40 times greater than normal atmospheric pressure at sea level [5, 6]. Once the CO2 is thoroughly incorporated, a process which takes anywhere from 2-6 minutes , the mixture is cooled and the candy hardens. Cooling is done as rapidly as possible to prevent CO2 from diffusing out of the candy, reduce hygroscopicity, and minimize crystallization, a process which makes the candy very fragile. 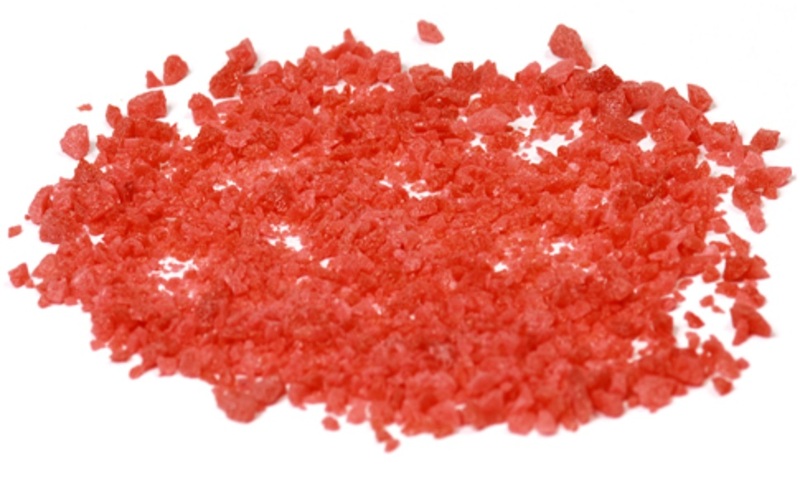 This causes the Pop Rocks to shatter and gives the candy’s signature appearance, “mini rocks” of sugar crystals. The result? Small candy pieces encapsulating bubbles of high-pressure CO2. Lo, the magic of carbonation! So why do Pop Rocks pop? When you eat Pop Rocks, the moisture and temperature in your mouth melts the candy. The subsequent popping sounds are a result of the high-pressure CO2 bubbles being released into atmospheric pressure! But what about the crackling sensations felt in your mouth? 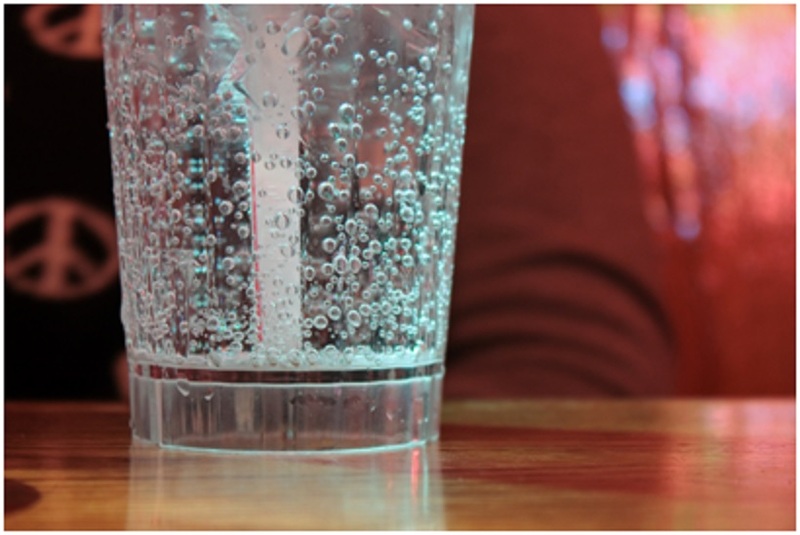 Why do we perceive carbonation as a fizzy, tingling flavor sensation? In the past few years, scientists have identified that taste receptor cells can actually detect and respond to carbonation. Specifically, sour-sensing taste receptor cells are activated in response to CO2 and are responsible for the “taste of carbonation” . 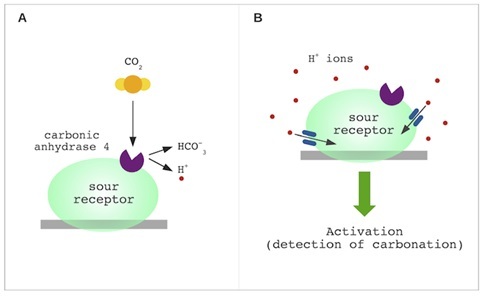 Sour-sensing taste receptors specifically express a gene which encodes carbonic anhydrase 4, which is an enzyme that catalyzes the conversion of CO2 to bicarbonate ions (HCO3–) and free protons (H+). This enzyme is only attached on the surface of sour-sensing taste receptor cells, so when you eat Pop Rocks or drink carbonated soda, CO2 is broken down and H+ proton byproducts linger outside of the cell. 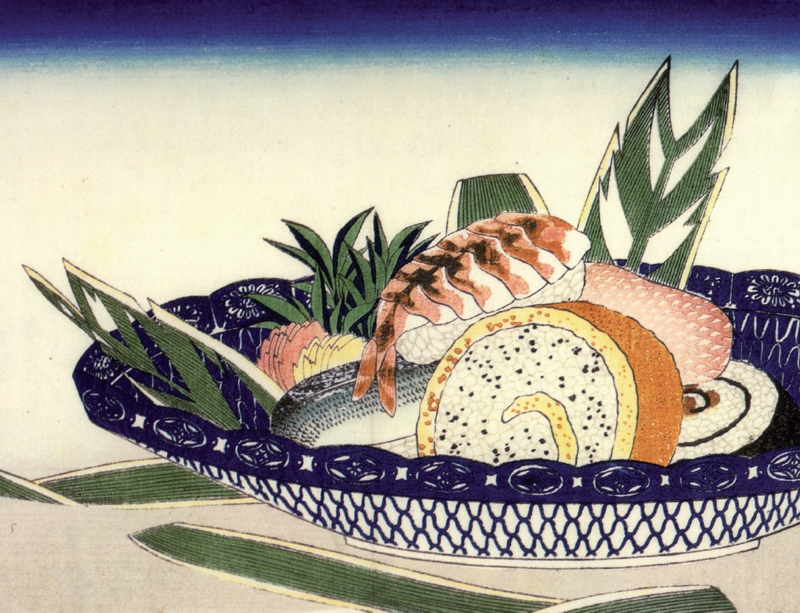 Since sour-sensing taste receptors activate in response to acidic environments. Therefore, they will detect this abundance of free H+ protons and ultimately, detect the taste of carbonation . (B) The abundance of H+ byproducts creates an acidic environment. Through ion channels, the H+ ions enter the sour-taste receptor, which depolarizes the cell and leads to the detection of CO2 . However, carbonation doesn’t always taste sour to us because CO2 is detected by multiple somatosensory systems in the body. 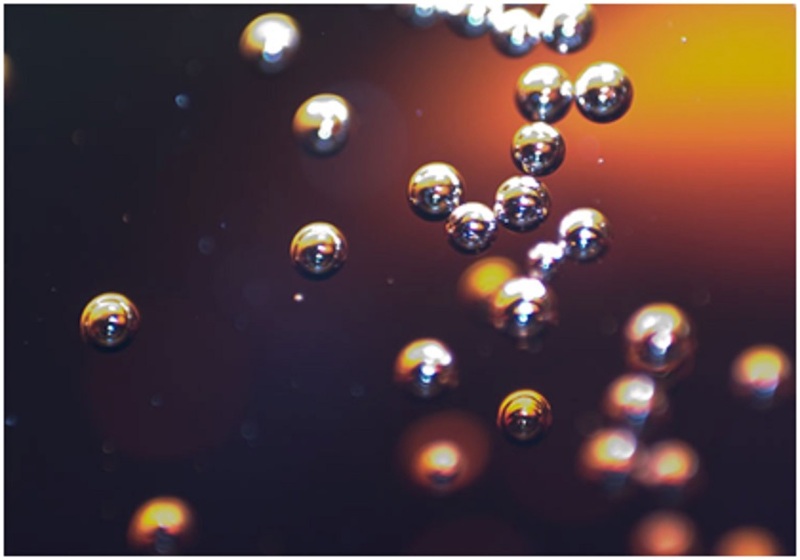 Some researchers even suggest that the tingling, burning sensations associated with the perception of carbonation can be caused by CO2 triggering pain receptors . Would this mean our society’s desire for carbonated food and drink has strangely evolved against a natural aversion to experiencing pain? Personally, I can’t hear over the loud buzzing noises of Pop Rocks in my mouth to find out…and as they say, “no pain, no gain”! The diagram illustrating taste detection of carbonation has been added in the current post. “Why do Pop Rocks pop?” http://www.poprockscandy.com/history.html. Accessed 23 August 2014. Leon K, Mitchell W (1961) Gasified confection and method of making the same. US Patent No. US3012893 A. Available: http://www.google.com/patents/US3012893. Accessed 20 August 2014. Chandrashekar J, Yarmolinsky D, von Buchholtz L, Oka Y, Sly W, et al. (2009) The Taste of Carbonation. Science 326: (5951) 443-445. doi:10.1126/science.1174601. Available: http://www.sciencemag.org/content/326/5951/443.full. Accessed 25 August 2014. Marziali C (2010) “Sparkling Drinks Spark Pain Circuits”. University of Southern California. http://dornsife.usc.edu/news/stories/796/sparkling-drinks-spark-pain-circuits/. Accessed 26 August 2014. 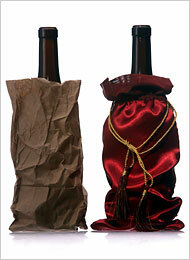 “Champagne FAQ’s” http://www.champagnesabering.com/home.php?id=16. Accessed 16 September 2014. “How To Check Tire Pressure” http://www.dmv.org/how-to-guides/check-tire-pressure.php. Accessed 16 September 2014.